W H A A AT ? Two weeks prior to 9/11, the whole security section of the twin towers was taken down and disarmed ‘for vital maintenance’. This had never happened before. It has been suggested this would have given an ‘open window’ for teams to have placed thousands of charges at strategic points. The Chief of Staff for the United States' Air Defense Command was stood down and; removed ... replaced by someone who could be counted on to obey orders.. The World Trade Center buildings had been recently re-insured (by its owner) for a colossal sum – including coverage for acts of terrorism. At that time ... there existed a maintenance backlog that was going to cost megabucks. "It’s not remotely possible for any commercial aircraft to operate at these speeds anywhere in the world AT SEA LEVEL. At high altitude the airspeed indicator might read 280 kts but due to decreased atmospheric density however the true airspeed increases towards 480 or perhaps 500 knots." "As the aircraft descends the true air speed also decreases towards 280 kts which is just about its maximum certified operating speed. Boeing knows that as do all the other manufacturers and hundreds of thousands of pilots throughout the world…. And now hopefully you do too." 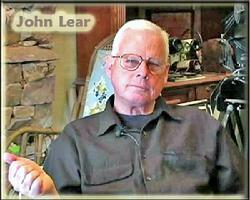 ENTER JOHN LEAR: The alleged 'controlled' descent into New York on a relatively straight course by a novice pilot is unlikely in the extreme because of the difficulty of controlling heading, descent rate and descent speed within the parameters of 'controlled' flight. ‘It takes a highly skilled pilot to interpret the "EFIS" (Electronic Flight Instrument Display) display, with which none of the hijacker pilots would have been familiar or received training on, and use his controls, including the ailerons, rudder, elevators, spoilers and throttles to effect, control and maintain a descent. John Lear has, according to his sworn statement, flown over 100 different types of planes during his 40 years of flying and holds more FAA airman certificates than any other FAA certificated airman. He flew secret missions for the CIA in Southeast Asia, Eastern Europe, the Middle East and Africa between 1967 and 1983 then spent 17 years working for several passenger and cargo airlines as Captain, Check Airman and Instructor. The Commission did not take evidence from experts or pilots when it conducted its inquiry into the attacks from 2002 to 2004. The affidavit, dated 28th January 2014 is part of a law suit being pursued by Morgan Reynolds in the United States District Court, Southern District, New York. In March 2007, Reynolds, a former chief economist under the George W Bush administration filed a Request For Correction with the US National Institute of Science and Technology citing his belief that real commercial jets (Boeings) did not hit the WTC towers. Look carefully at the plane's underbelly in the picture to the left. What's that long bit of metal or pod, attached to the bottom of the fuselage? ‘No Boeing 767 airliners hit the Twin Towers as fraudulently alleged by the government, media, NIST and its contractors’, Lear stated in the affidavit. 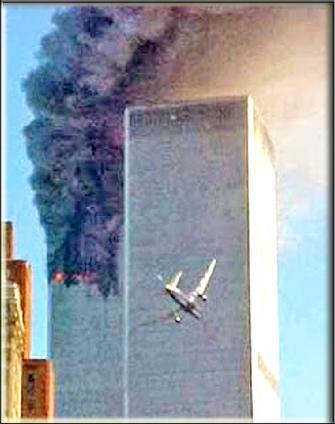 In the case of UAL 175 going into the south tower, a real Boeing 767 would have begun 'telescoping' when the nose hit the 14 inch steel columns which are 39 inches on center. ‘The vertical and horizontal tail would have instantaneously separated from the aircraft, hit the steel box columns and fallen to the ground. ‘The engines when impacting the steel columns would havemaintained their general shape and either fallen to the ground or been recovered in the debris of the collapsed building. ‘No Boeing 767 could attain a speed of 540 mph at 1000 feet above sea level ‘parasite drag doubles with velocity’ and ‘parasite power’ cubes with velocity. The fan portion of the engine is not designed to accept the volume of dense air at that altitude and speed. The piece of alleged external fuselage containing 3 or 4 window cutouts is inconsistent with an airplane that hit 14 inch steel box columns, placed at over 500 mph. It would have crumpled. No significant part of the Boeing 767 or engine could have penetrated the 14 inch steel columns and 37 feet beyond the massive core of the tower without part of it falling to the ground. ‘The debris of the collapse should have contained massive sections of the Boeing 767, including 3 engine cores weighing approximately 9000 pounds apiece which could not have been hidden. Yet there is no evidence of any of these massive structural components from either 767 at the WTC. Such complete disappearance of 767s is impossible. What Happened To The Planes, The Debris, The Passengers and How Did They Make Those Cell Phone Calls? Ted Olsen's Wife Was On Flight #77. How Did She Call Her Husband? Flight Attendant CeeCee Lyles' message to her husband actual evidence heard in court for the case United States v. Zacarias Moussaoui CeeCee Lyles's husband talks about the personal call he had from her on her cell phone.... which is impossible since mobile phones didn't work on planes in 2001. 28 June 2001: Bill Cooper predicts 911 & says it will be blamed on Osama bin Laden. Cooper was killed 05 Nov 2001.